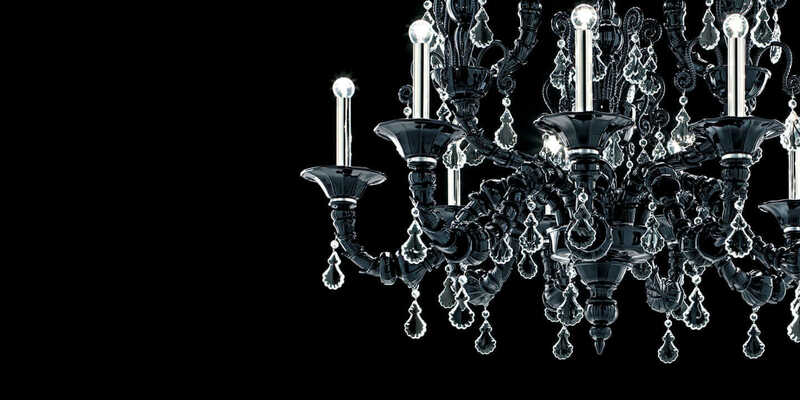 The Taif chandelier, designed by Angelo Barovier in 1980, is a Barovier&Toso icon. Courtesy Barovier&Toso. What’s the oldest technology company you can think of? Google will celebrate its 20th anniversary next April. If Apple or Adobe were people, they’d be old enough to have teenage children. IBM’s original incarnation (the Computing-Tabulating-Recording Company) was founded in 1911. But how many companies—let alone technology companies—were founded in 1295? That’s not a misprint. 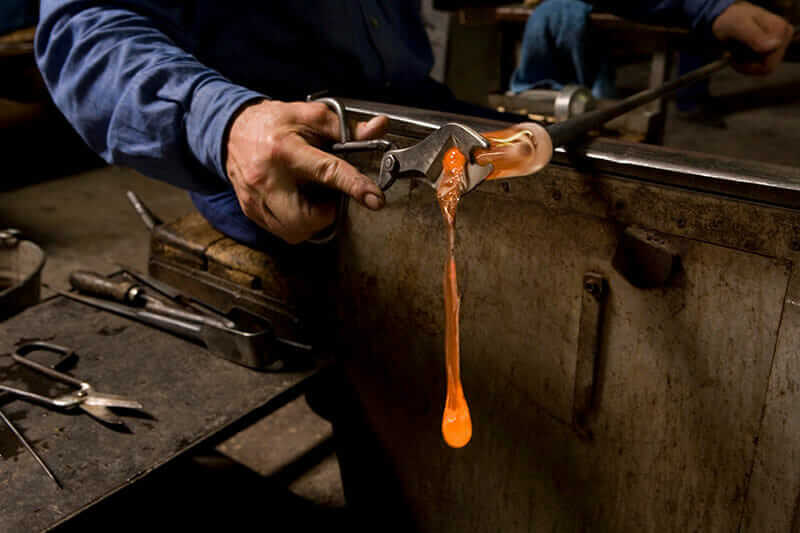 Barovier&Toso has been creating glass objets d’art using traditional glassblowing techniques in Venice, Italy, since Marco Polo returned from his travels to China. But how is it a technology company? Barovier&Toso has been innovating its artistic methods for just as long as it has been in business, and the latest addition to its tool set is digital 3D design. 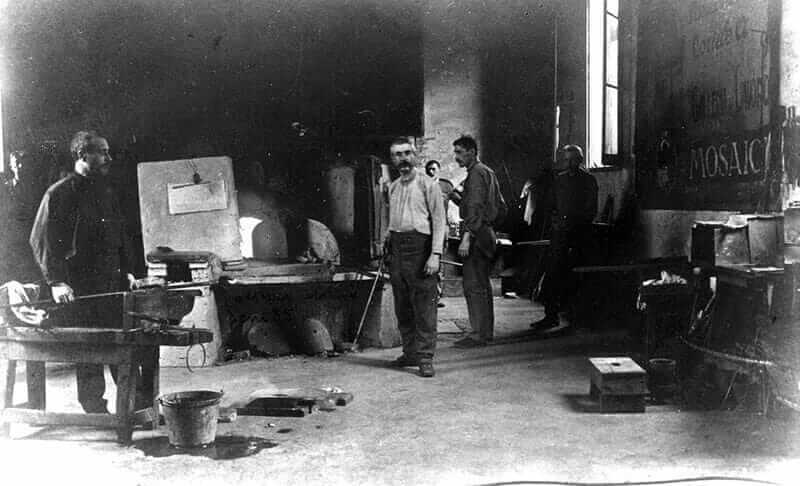 Pictured in 1906, Giuseppe Barovier (left, with tool) and Benvenuto Barovier (center) work in the same location where Barovier&Toso's headquarters and furnace are today. Courtesy Barovier&Toso. Ercole Barovier worked for the company from just after high school until a few months before his death—and left a portfolio of more than 25,000 designs. Courtesy Barovier&Toso. Traditionally, glass designers would hand-sketch a lamp, chandelier, or decorative piece with grease pencil on glossy paper to present to potential customers. This yields a flat representation, one that requires imagination when it comes to different colors, materials, and so forth. That’s not to say the old way of working isn’t an art form itself. 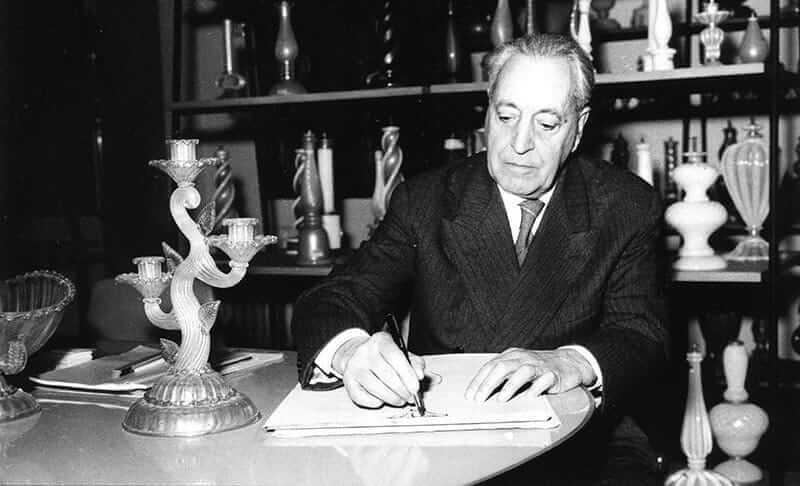 Barovier&Toso has archived many of its designs over time—including those created by the company’s artistic director and later proprietor Ercole Barovier (1889–1974), who used paper and pencils in his heyday, the 1930s. The company maintains a library of more than 25,000 hand-drawn designs. Barovier&Toso glass masters at work. Courtesy Barovier&Toso. 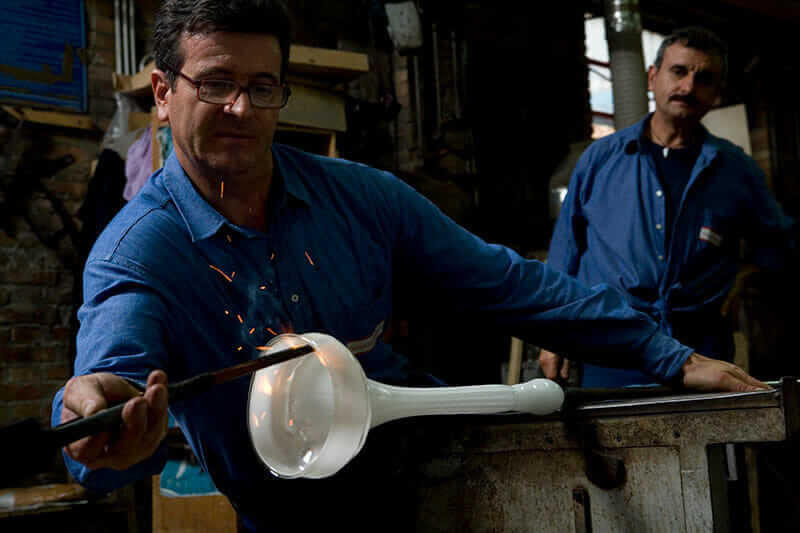 Barovier&Toso glassblowers must turn and cut the glass to get just the right shape. Courtesy Barovier&Toso. After blowing, turning, and cutting the glass into the right shape, the glassblowers will then cure the results in the furnace. Courtesy Barovier&Toso. 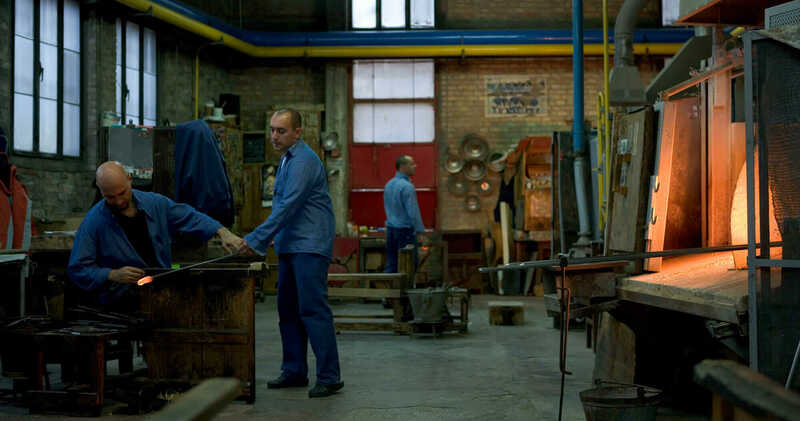 But times change, and, today, glassware can be conceptualized and finessed endlessly in a digital model prior to manufacture—just like the design process used for buildings, logos, and just about everything else. Pedrali and her colleagues and collaborators use Autodesk Fusion 360 for design, visualization, simulation, and fabrication, which keeps design data centralized for a streamlined workflow. “Our strength lies in being able to customize almost all of our catalog products in terms of color and size,” Pedrali says. “Each product is uniquely produced for a specific customer.” Among the biggest advantages 3D design offers is that the company can design, tweak, and present its products within a shorter time frame than ever before. Not only that, the design can represent all available manufacturing options, along with a rendering of the final product in the very room or space it will appear in, further perfecting its suitability. Barovier&Toso’s markets include large-scale corporate clients such as The Four Seasons, Louis Vuitton, and Cartier, as well as interior designers catering to individual or residential buyers. Pedrali says it’s a fairly even split, but a common theme in all customers’ requirements is luxury. “Our customer looks for something not only luxurious but exclusive and with a ‘timeless’ look,” she says. The furnace room at Barovier&Toso headquarters. Courtesy Barovier&Toso. It’s a quality built into the DNA of the company. Down on the furnace floor, where the fabrication happens after the design, analysis, simulation, and visualization, Pedrali says the working methods of glassblowers have remained the same: blowing, turning, and cutting the glass to get just the right shape and then curing the results in the furnace. Given how close employees are to practices that have been around since two centuries before Leonardo Da Vinci was a neighbor, wouldn’t some scoff at the notion of modern tools and techniques? It’s turned the conceptual phase of glass design on its head somewhat. With Fusion 360, Barovier&Toso can produce a concept digitally and alter it as needed according to the customer’s wishes. When it comes to showing the client the final design, the Barovier&Toso team can output a 3D rendering of it in Autodesk VRED, showing the design in context, such as in a bedroom, showroom, or hotel lobby. 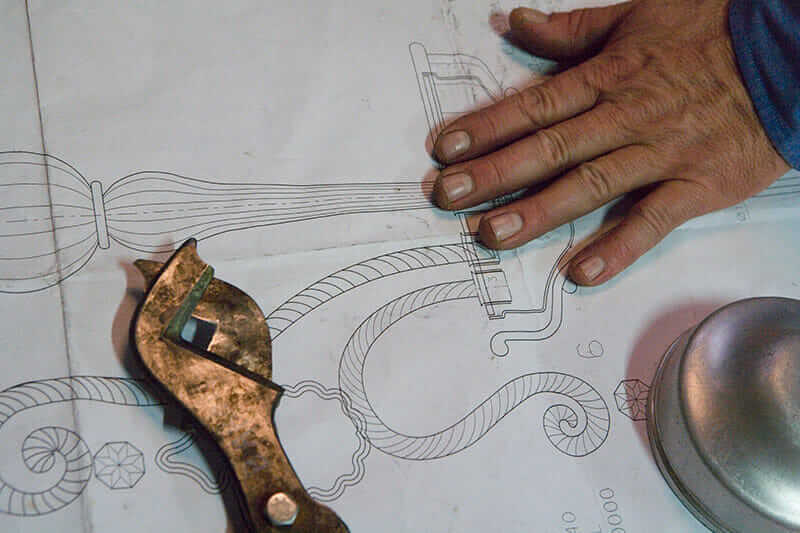 Barovier&Toso artisans still work from 2D drawings. Courtesy Barovier&Toso. 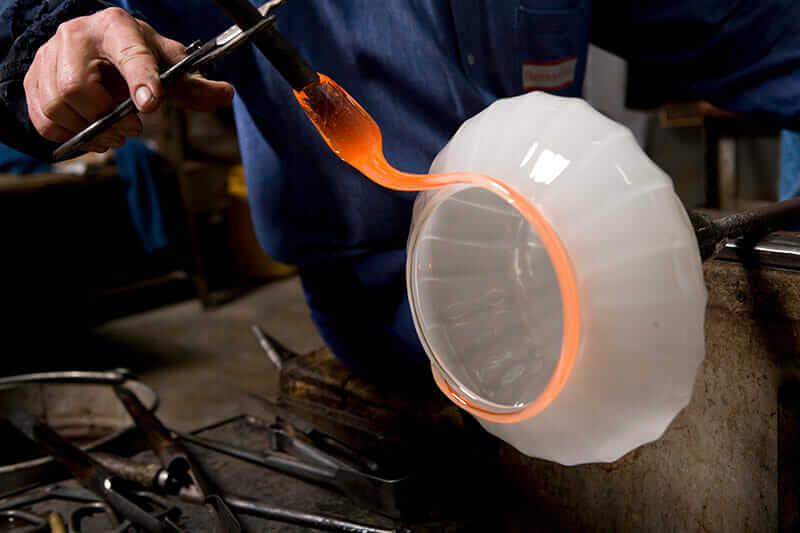 But even though customers appreciate the full 3D renderings, Barovier&Toso’s glassblowing artists still need the 2D designs, easily output from Fusion 360, for fabrication. So the customer presentation phase generates the design materials instead of the other way around. Of course, all the digital trickery and new systems in the world aren’t worth much if they don’t make a difference where it really counts. Since incorporating Fusion 360 and other Autodesk products, sales have increased, Pedrali says.